Rederij De Kampioen can not be held accountable for any injury or damage of any kind, regardless of the cause or if this occurred before, during, or after the sailing trip. Exceptions to this is the legal obligation for compensation by demonstrable intent or fault by Rederij De Kampioen. The legal compensation is limited to the highest boat rental of the concerning trip. Children are the responsibility of the parents. The rental of the boat has to be payed before departure, either by money transfer or cash. The client can cancel the order by a written and dated notification to Rederij De Kampioen. When the cancellation happens more than two weeks before the departure date, you will owe 25% of the rental cost, within one week this will be 50%. If you cancel within two days of the departure time you will owe 75% of the rental costs and the costs of any catering products that might have been purchased. You will not be charged for the all in arrangement. During the trip, the skipper has the right to interrupt the trip or to deviate from the agreed upon course if he determines that irresponsible or unsafe behavior has occurred or when the terms of agreement have been broken. The use of confetti, fireworks, rice etc. is not allowed on board. You are not allowed to throw trash overboard. In case that the passengers are not on time at the boarding location. Then Rederij De Kampioen will have the right to charge for the waiting time according to the waiting fee. Or to reduce the sailing time proportionally. Fancy a complete sailing package? It was in the period of June 2017 when Rederij De Kampioen had taken over Rederij Vonk. The shipping company was founded to answer the need for boat trips for smaller companies and still exists for that reason. Now the shipping company owns four ships, three beautiful authentic saloon boats and a luxurious sloop. 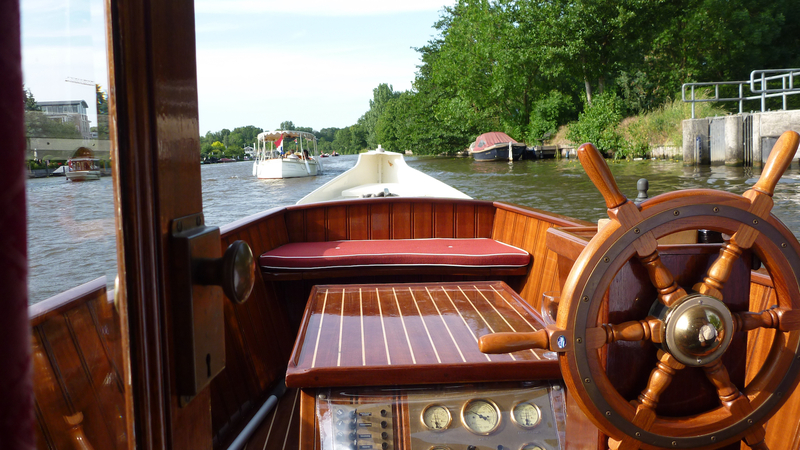 We sail for various parties and celebrations on the Vecht with pleasure.